I love Brisbane more and more every time I travel there. As the capital of Queensland, it’s a lively Australian destination, but still fairly small on a world scale, with just over 2 million people living there. Yet this is one of Brisbane’s great charms. Certainly not as sprawling as Sydney or Melbourne, but with undeniably better weather and with an unmistakable atmosphere all of its own, Brisbane really is a must on any Australian itinerary. Along with a large number of galleries, museums, exhibitions spaces and theatres, Brisbane also has a burgeoning music scene, as well as a delightful array of different suburbs offering some great world cuisine and wonderfully tucked away markets. Coming from Noosa on Australia’s Sunshine Coast, I love the great range of cultural activities on offer in Queensland’s capital and have already written about some of these in the best areas to visit in Brisbane. 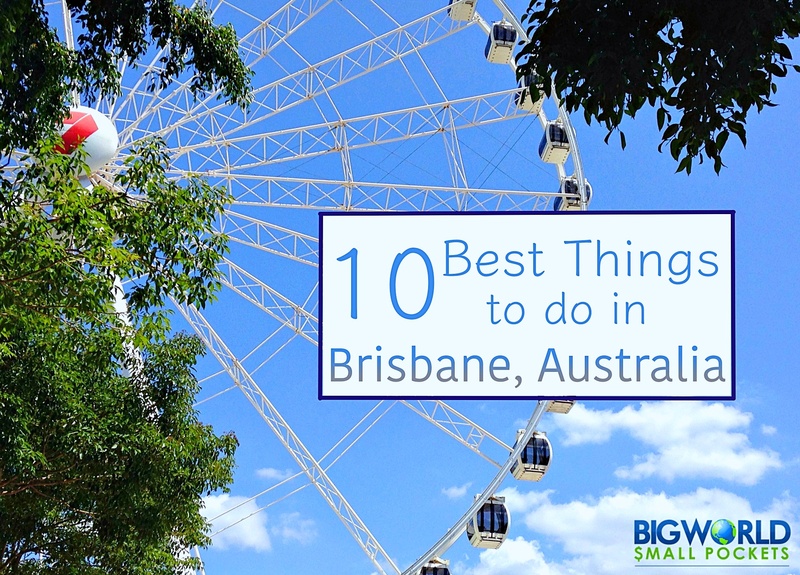 Now however, it’s time to let you know about the 10 best things to do in Brisbane, Australia to help you get the most out of your time there too. Bordered by the city on one side and the flowing river on the other, wandering Brisbane’s Botanic Gardens allows you a wonderful retreat away from it all. Simply enjoy a stroll or take a picnic and relax on the grass of this peaceful and beautifully looked after area of the city. Very relaxing, this is certainly one of the best things to do in Brisbane. 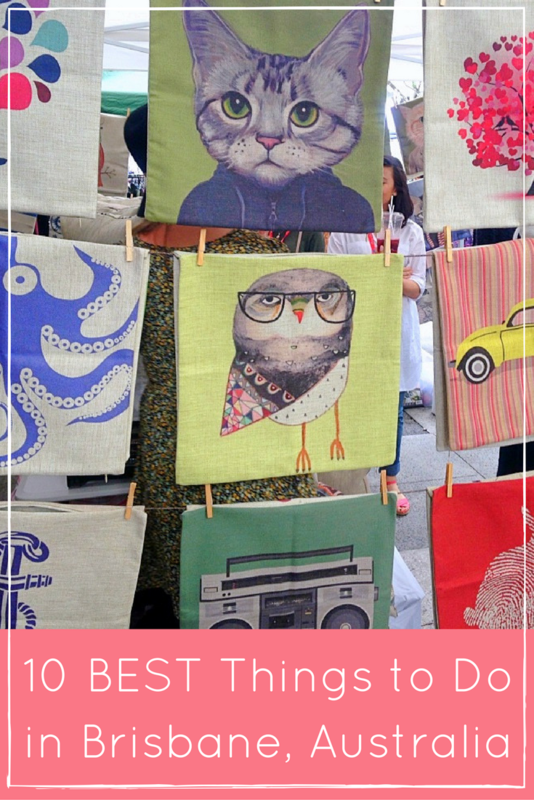 These quirky markets take place every weekend in a riverside area of Brisbane called Hamilton. Funky and trendy, the Eat Street Markets are constructed around a load of shipping containers each one housing its own fantastic food stall with delicious treats from around the world. Not to be missed, this growing market is full of atmosphere and a great place to start when exploring Brisbane’s burgeoning food scene. The delightful City Cat is a riverboat that makes up part of Brisbane’s wonderfully cheap public transport network. 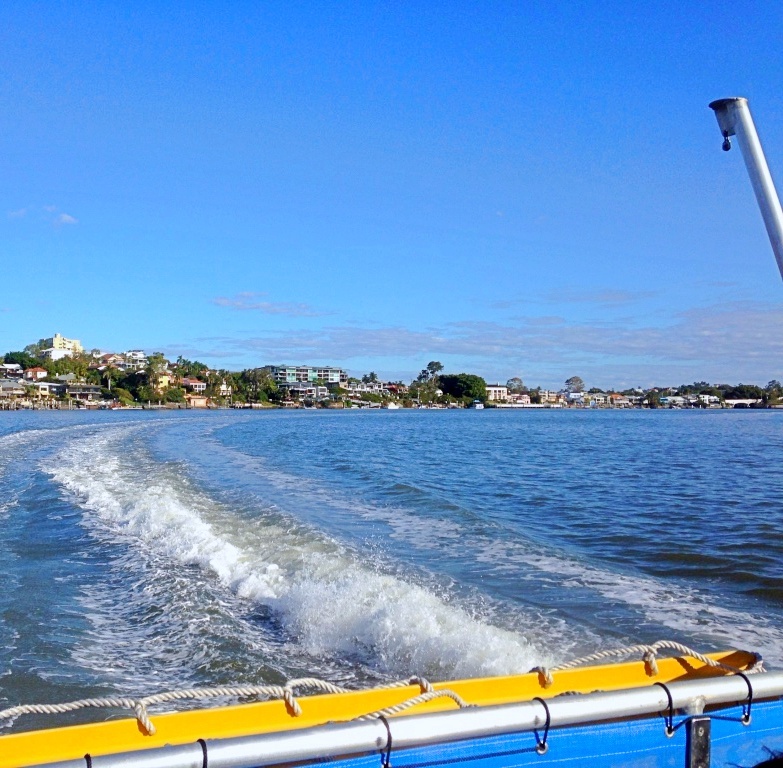 It doesn’t sound that fun or glamorous, but believe me, when you’re speeding up the river on an open-top boat in the sunshine, it’s a great way to see the city and definitely one of the best things to do in Brisbane. Use the service to explore some of the best areas to visit in Brisbane including the gorgeous Bulimba and New Farm enclaves. Eat: Trying out the Valley or Eat Street Markets are great fun and full of awesome cheap food options. Otherwise, I recommend stopping at one of the many cafes along Southbank for a coffee – a cheap way to take in the scenery and action of the place! Abseiling down this 20 metre high cliff gives you a great view of Brisbane if you can bear to look at it that is! Fully guided by qualified professionals, why not put your fears to the test by enjoying one of the top things to do in Brisbane that combines the best of the city’s outdoor lifestyle, fun, adventure and views. With opportunities to visit the Queensland Art Gallery, the Queensland Museum and the State Library of Queensland, as well as the Queensland Theatre Company and Performing Arts Centre, there is plenty to do to interest the most avid arts and cultural fans in Brisbane. My favourite destination however is the Gallery of Modern Art, or the GOMA, as it’s known. Situated on Brisbane’s South Bank, the GOMA is free to enter and there are always some super exhibitions here, definitely making a trip there one of the best things to do in Brisbane. For an Australian city sadly built along a river rather than the coast, the wonderful swimming pool and manmade beach on Brisbane’s South Bank is a godsend! Every day it’s full of tourist backpackers and local families who come here to cool off and catch some rays on the city’s only stretch of sand. And best of all, it’s free. So pull up a towel and enjoy the sunshine under a glorious view of the city’s glittering skyscrapers. Nowadays, Brisbane is one of Australia’s major cities and growing each year in both population and kudos. 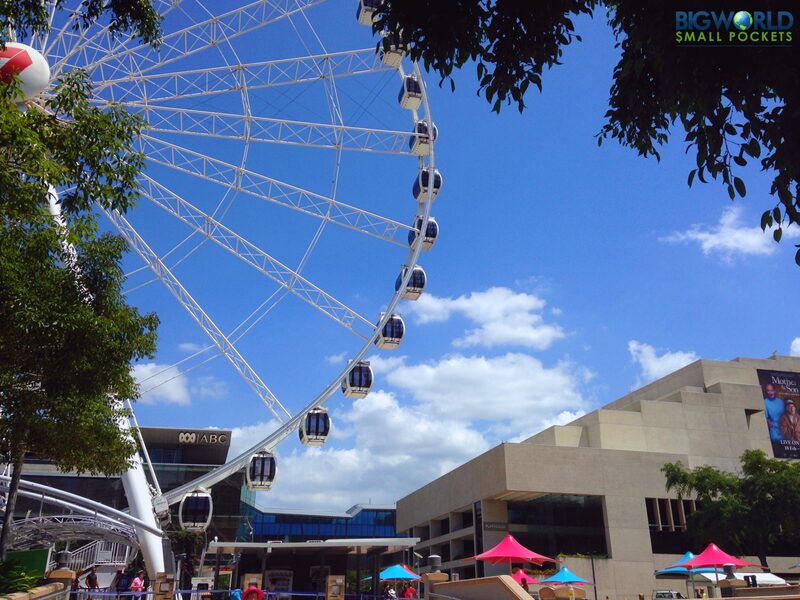 No doubt the development of South Bank was part of the drive to grow and promote Brisbane as an international city and I always laugh because there’s even the Wheel of Brisbane, which despite the slightly different name is, of course, just like the London Eye only with better blue-sky views as far as I can see! Still,it’s certainly worth a ride to get a great impression of this tropical city and enjoy the coastal views beyond it. Get to the top of this hill at sunset to see Brisbane come to life in the dark. This stunning outlook provides you with a glittering view of the city that stretches for miles and is definitely one of the best things to do in Brisbane. In the daytime you also get panoramic views all the way out to Moreton Bay and can relax in the lookout’s surrounding parklands. Notorious until the 1990’s for its dangerous and seedy activity, Fortitude Valley is now the place to be in Brisbane if you want to party. 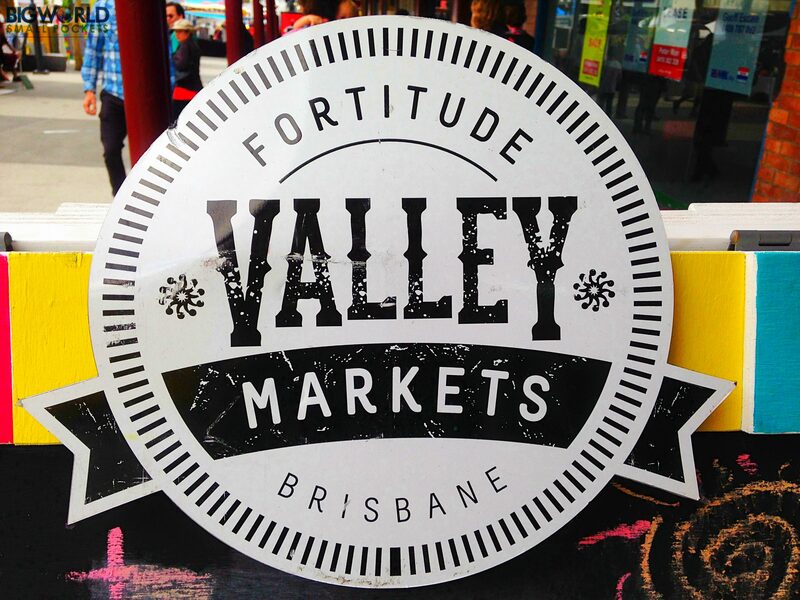 Full of bars, clubs, restaurants and backpacker hostels, the Valley, as it’s known, also boasts a lovely Sunday morning market and a historic Chinatown. The place is full of live music venues and has some great pubs with brilliant atmospheres and super craft beers on tap. Brisbane’s famous international sports stadium, the Gabba, is a mecca for cricket and AFL fans alike. As a country of die-hard sports fans, you’d be silly not to enjoy the atmosphere of an electric game at the Gabba while you’re in Australia. 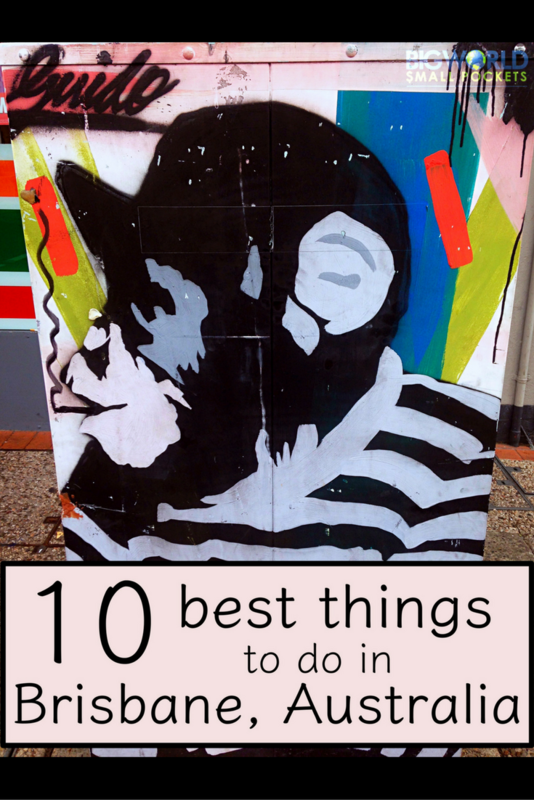 So those are my recommendations for the 10 best things to do in Brisbane, Australia. 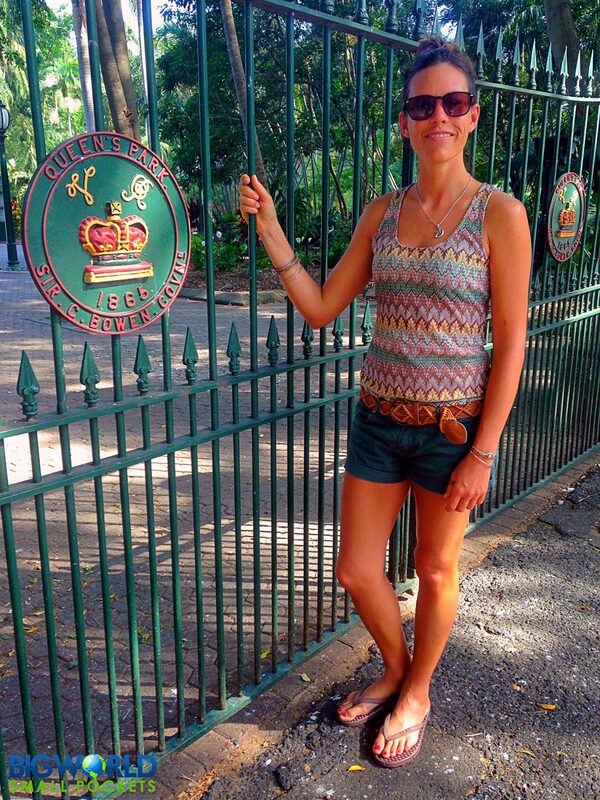 Have you been to Queensland’s capital city? What did you enjoying doing there most?